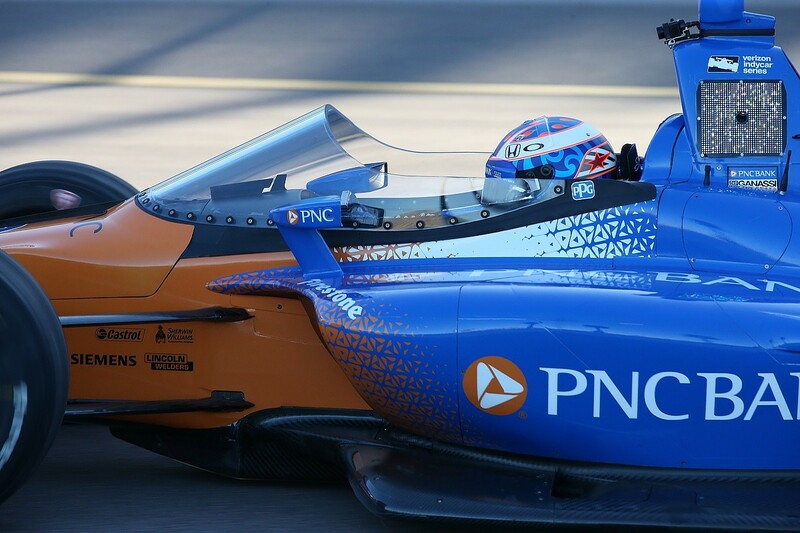 After Scott Dixon completed the first test of IndyCar's planned cockpit protection system, it didn't take long for the US series' windscreen to be used as a tool to beat Formula 1's unpopular halo. But beneath the mud-slinging and point-scoring, IndyCar has defined a clear path to balance safety and aesthetics by going down the route the FIA shunned. F1's flirtation with its own windscreen, the shield, ended with Sebastian Vettel ending the test prematurely after feeling sick due to distortion, opening the safety push to yet more criticism. 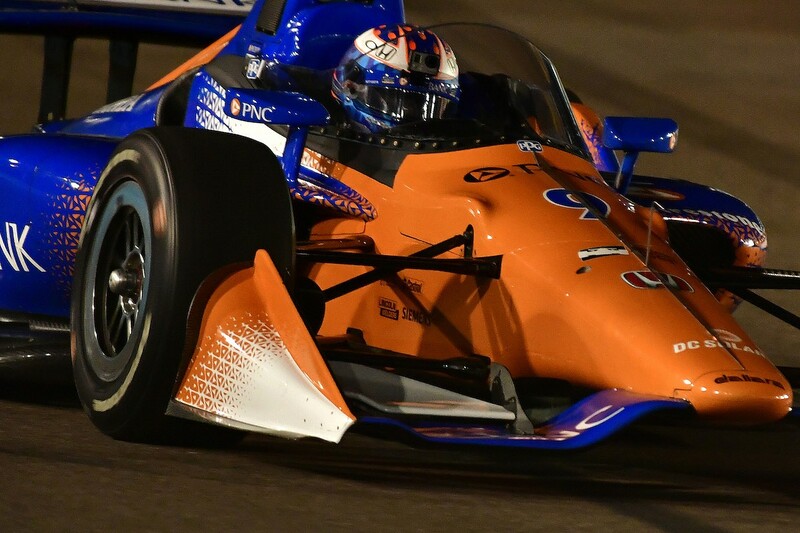 IndyCar, however, has quietly worked behind the scenes on its own method with PPG Aerospace, developer of the cutting-edge canopies on military aircraft such as the Chinook and Apache. Crucially IndyCar does not have the FIA as an immediate overseer of its cockpit protection approach, but at face value, it has reaped the benefits of avoiding the limelight and scorn that F1 has attracted. 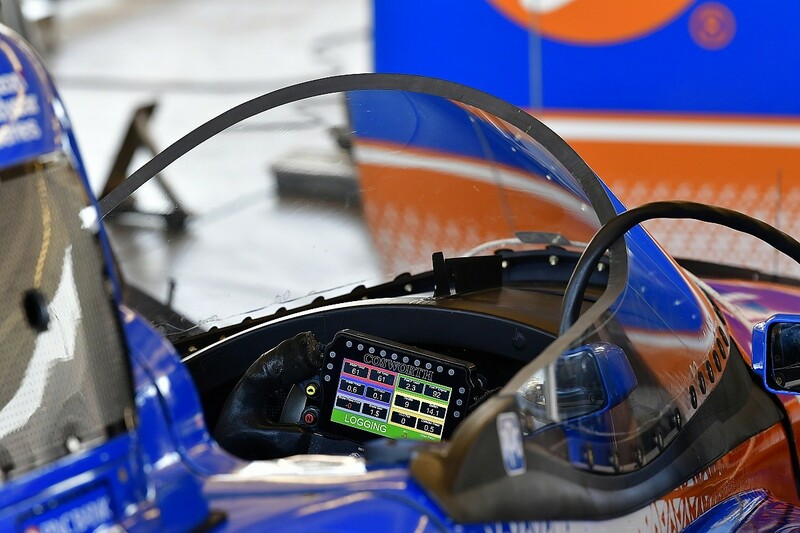 Having done extensive simulator testing at Dallara's Indianapolis base with Harding Racing's Gabby Chaves, it has refined the windscreen and committed to a developed prototype. At no point has IndyCar set a firm date for it to be fitted to the cars, instead being keen it takes the time to get it right. Even the screen's recent test at Phoenix was only confirmed the week before, and it was used to assess distortion and the visibility changes through daylight, dusk and night conditions. While Vettel's run with the Ferrari 'shield' was cut short due to distortion, Dixon validated IndyCar's approach. He suffered a minor visual problem looking through the thick screen and cited "we need some cooling" to avoid the drivers roasting. The fact IndyCar and PPG were not only already aware of the issues, but already beginning work on fixes, is a small insight into how the series has effectively built a working group - free of pressure to fast-track a cockpit protection system - in the last two years. While IndyCar was partly helped by a lack of options, as the curved and steep banking of ovals means the halo obstructs a driver's focal point, it has had a clear goal in mind for the windscreen according to Jeff Horton, its director of engineering and safety. Safety was obviously the key goal, with the aim that the windscreen could withhold an impact of a wheel and its assembly striking it, but also the aesthetics, with the current design harking back to CART's 1980s and '90s era. The design may sound a trivial, minor point but it fits the new-look IndyCar. "I don't really have an opinion [on halo comparisons], what IndyCar decided is we wanted our additional front protection to maintain an open-wheel, open cockpit-look, so that eliminates some things, and that's the direction we went and are going to try to provide this protection," he says. "So we probably, maybe because of the ovals, deal with some smaller debris, smaller pieces, even though we have some weight and some mass to them. We probably have a little different need on the ovals, and that probably heads us more down towards the road of a windscreen." But two key factors accelerated IndyCar's path from consideration to practical implementation. The first, a topic IndyCar is keen to avoid linking to the windscreen's development, was the death of Justin Wilson at Pocono in 2015 after head injuries caused by the nose cone of a competitor. The second went hand-in-hand with the first: the media coverage of Wilson's death that led to an approach to the series from PPG. "We [had] intensified our additional frontal protection programme," Horton says. "I don't know if you might term it kind of lucky, but PPG approached us based on some stuff they heard in the press and that was a huge kickstart because with their fighter jet canopy background it fitted right into our needs. "I do all the crash investigation for IndyCar, so we knew the kind of loading we wanted to protect the drivers from in that frontal protection, so we put our stress majors, as they call it, together for them and sent it to them and most of it they didn't think was that big a deal. We worked with them on some different tests and they finally picked the material for us which is their Opticor material [designed to withstand flame, abrasion, impact and chemicals]. "Originally we thought they were going to be responsible for the shape of it and stuff and, after discussions, they felt it would be better if IndyCar defined that so they gave us a set of rules to follow and then we put our specification together based on that. Then Dallara was able to draw us the initial shape of the windscreen and the flange of the body shape we were going to use." Dallara then turned to its regular simulator tester Chaves and, having worked extensively on tyre modelling and physics, he was drafted in to test the windscreen. IndyCar's initial testing, after it abandoned an "awkward bubble" windscreen that was almost a canopy, provided the same distortion pitfall F1 experienced and it left Chaves doubting its practicality. "The very first time we put it on the sim I had a lot of issues with vision distortion, particularly at the sides, so that was a big concern for me," he says. "Obviously that was what I told them right away, that vision was impaired particularly when you get close to objects like walls as you lose a little bit of that depth perception. 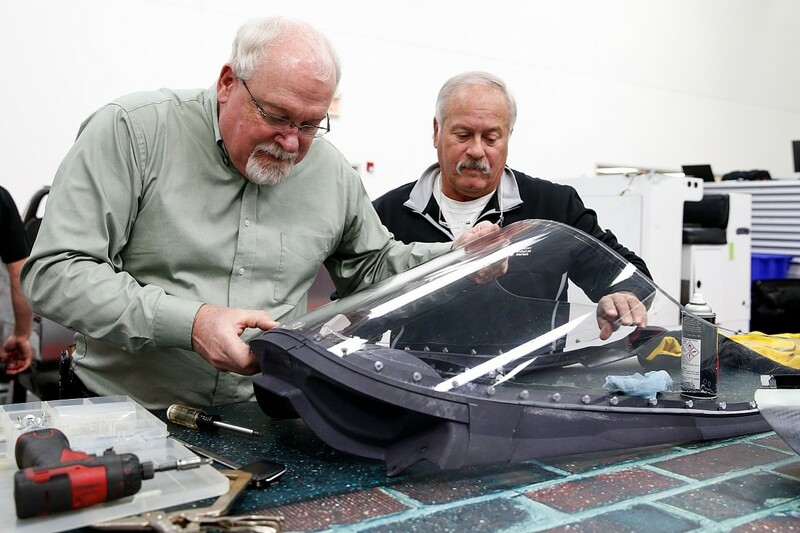 "They [IndyCar, PPG and Dallara] went back to the drawing board and came up with a different material and design that changed the curves and the length of the windscreen. We came back and tested it a second and third time with small adjustments between them and it was interesting. "By the end of it, on the sim at least, it was pretty much good to go as far as any visual impairments or anything, it was pretty much non-existent. I thought that was a good place for us to get something going as a real-life prototype. They made some small adjustments, but it was basically what went on track." While IndyCar has had tangible success so far, going from apparent distortion to barely any between Chaves's simulator work and Dixon's test, there are bigger hurdles to come before the process can be called a success and a viable alternative to the halo. Chaves's feedback is highly praised by those inside in IndyCar and was proven by Dixon's feedback correlating with his simulator work. But the Harding driver also highlighted that the windscreen requires more work to be a practical solution on the tight and narrow street courses IndyCar races on. "I would say with the ovals you have quite a lot more room to look ahead and look through the track really without any obstacles like the wall between you and the corner," he says. "You have that on a road course, but you don't on a street course. This goes back to the first iteration where I had some distortion, which wasn't too bad on an oval or a road course, but it was very difficult on a street course. "You can't really see through corners because you have walls and your vision is constantly changing from focal point to focal point, your eyes are adjusting and focusing a lot more. That was a bigger issue at first, but the second and third iteration meant that had almost completely gone." 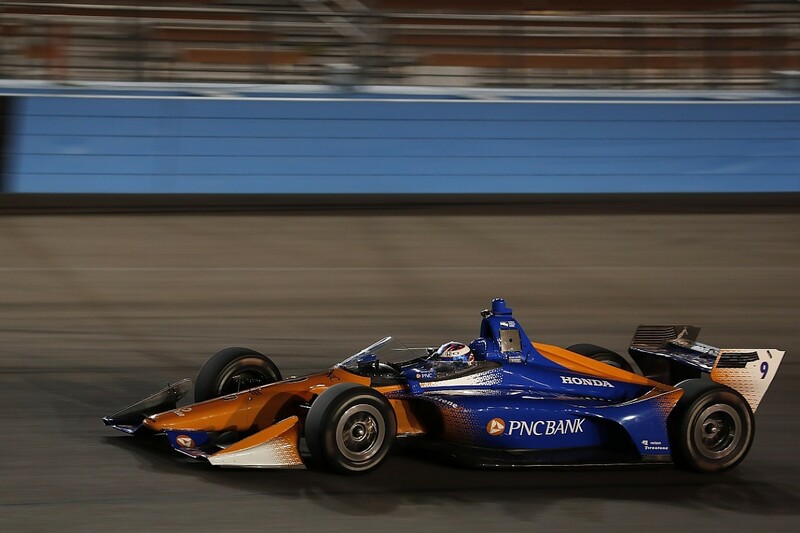 IndyCar is hoping to secure time at a street course race, probably during a live practice session, likely at the season-opener in St Petersburg or Long Beach, in order to test its viability. 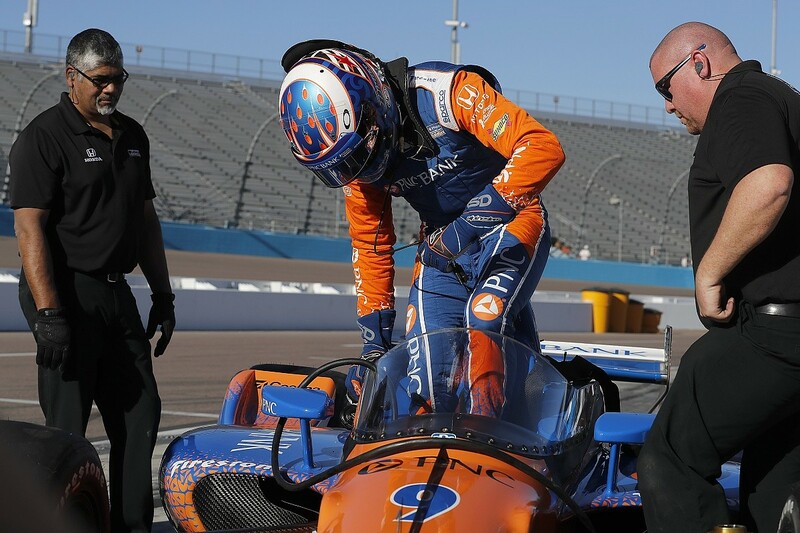 Horton is now overseeing the build of a second car to complement the Dixon/Ganassi windscreen equipped car to ensure at least one is ready at short notice for such testing. Other concerns are being worked on too, with IndyCar currently collaborating with Racing Optics on how it will implement a form of screen tear-off that is regularly seen in sportscar racing - with early suggestions suggesting pitcrews will take care of this, or that a custom onboard system will be fitted to the cars. But more importantly, IndyCar has yet to truly test the impact of debris on the windscreen. While Dallara minimised small aerodynamic devices on the 2018 universal aerokit, there is still the concern of crash damage and natural wear and tear. PPG is confident this will not be an issue considering its background, but it remains a crucial step between testing and racing. Dallara will also update the 2018 aerokit with an already planned new shock cover, but it will consider new air vents to counter Dixon's airflow and heat concerns. So, it's clear there's still a way for the windscreen to be as well developed as the halo, but IndyCar's work could have a wider benefit to motorsport and Dallara, as well as Horton, can be key to that. Horton and IndyCar's medical consultant doctor Terry Trammell both sit on the FIA's Global Institute for Motor Sport Safety, which means the two have collaborated with the FIA and F1, sharing data on its trials so far. Dallara's involvement in the Haas F1 team means it can draw on the lessons F1 has learned, particularly Vettel's shield run. "Yeah it's been bi-directional as we've been sharing everything we've been doing with F1," says Horton. "They've shared with us, we've both learned from each other, it's a good relationship. "There's a group of us that communicate quite often, and we have regular quarterly meetings as well, so yeah we understand the loading and the good and bad of the halo, [and] they understand the same with us with the windscreen we're doing." The FIA, F1 and IndyCar will be keeping a close eye on the windscreen's progress as Horton admits that the prototype Dixon used is "close" to the final specification. "I'd hate to say it was better than we thought it was going to be but it really was, Scott was very positive and there were minimal problems that he picked out," he says. "He actually looked at me once and said, 'This is nit-picking'." But that nit-picking means IndyCar can feasibly stick to its cautious timeline of a 2019 introduction. "2019's more likely, we're getting ready to go do our impact testing and all of that," Horton says. "And the season happens pretty quick, and the manufacturing of all the parts and stuff has to be on the list. "None of those are deal-killers but it's all reality, trying to get parts made and stuff once we bless it from the impact side. We'll do it when it's right, which is what IndyCar's always done." With a cockpit protection system that looks a natural fit on the car and a largely united push behind the concept, IndyCar has already shown F1 how a controversial safety push can be handled well off track. Now the series must remove any doubt it will make a difference on track too.